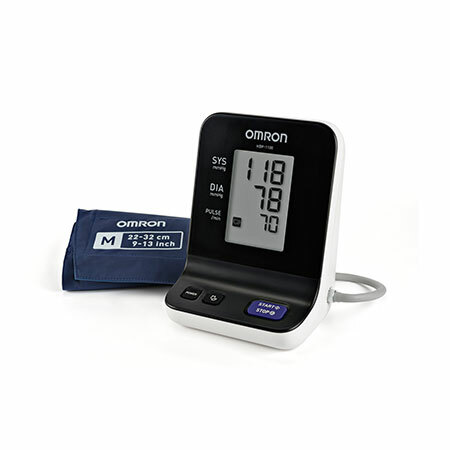 The HBP-1100 Professional Blood Pressure Monitor is a simple, yet reliable blood pressure measurement solution for any medical professional’s consultation desk that includes an optimally angled display and user-friendly interface. The monitor is compatible with a series of wipe-clean GS cuffs ranging from SS (12-18cm) to XL (42-50cm), and comes with an AC adapter. Depending on preference or situation fully automatic oscillometric measurement or manual auscultation mode (using a stethoscope) can be chosen. The zero indicator function shows that the device is reset to zero pressure level, indicating that it is ready for the next measurement.